Flavour of the Month: No Tricks, Just Treats! 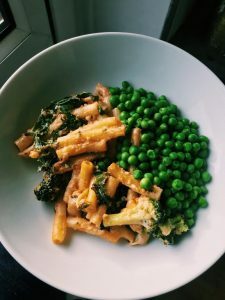 This month we are loving the Veganuary trend, so wanted to create a comforting favourite to hit all your cheesy-loving needs and give you a little inspiration towards the end of the month! Veganuary has gained a lot of supporters on social media, with nearly 200,000 signing up for the task last year! 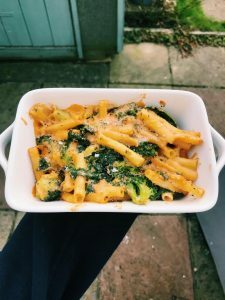 This recipe is free from nuts, dairy and soy, and was inspired by the new Waitrose vegan range. It’s great if you have friends with these allergies as they can enjoy it too, and it’s a chance to get creative in the kitchen! Dice and steam the carrots and white potatoes until soft. In a high-power blender, combine the potatoes, fresh garlic, carrots and oat milk until smooth. Add in the onion, garlic powder, smoked paprika and nutritional yeast until all mixed well. Add the vegan butter and flour and continue blending until a smooth consistency is achieved. Cook the macaroni pasta for 10-12 minutes on a medium heat. Drain and rinse the pasta. Steam the broccoli and kale on a medium heat, then remove from heat when cooked through. 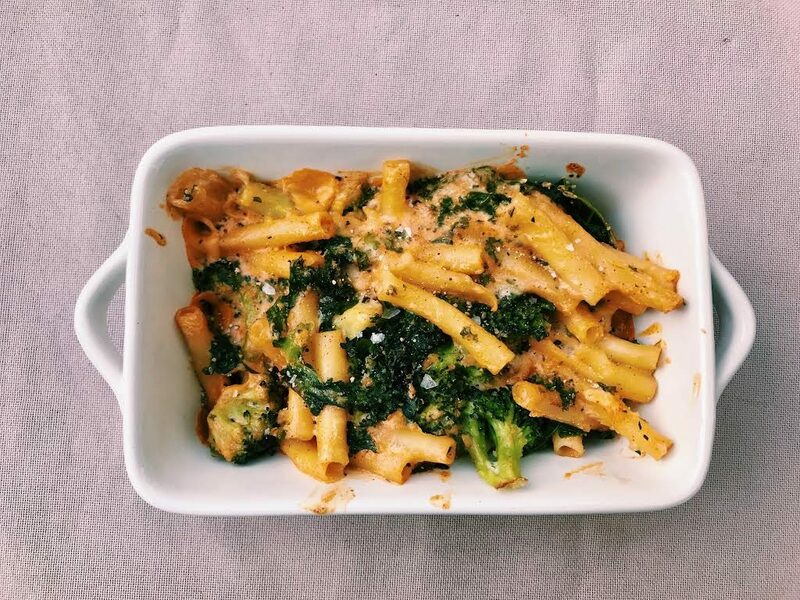 Mix the pasta and sauce and then transfer into a small, oven-proof ceramic cooking tray. Stir in some grated vegan cheese. Stir in the broccoli and kale. Garnish with salt, pepper, fresh parsley and breadcrumbs. Remove from oven when breadcrumbs are golden brown, and the cheese has melted.